Spring has sprung (at least it has on the other side of the world! It's actually autumn here in Australia). 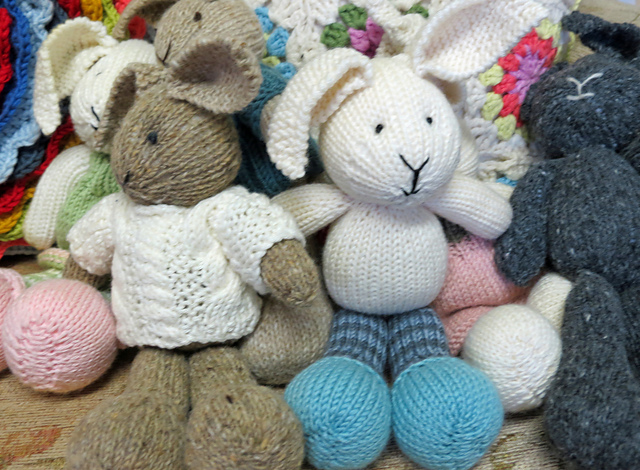 Spring is all about happy frolicking baby animals, little baby lambs, darling fawns and cute little bunnies. Spring is also Easter and where would Easter be without the genetic abnormality - the Easter bunny. 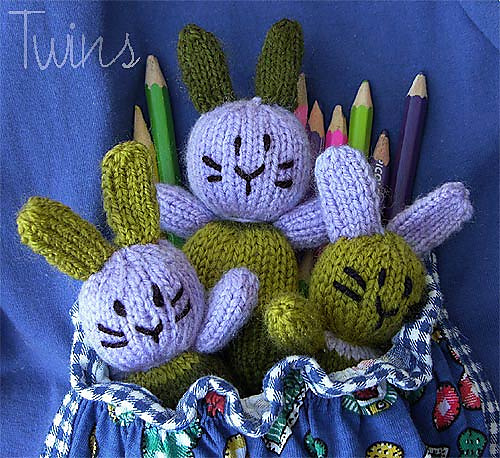 So this curating Ravelry post is a tribute to all things cute and bunny-ish and FREE. 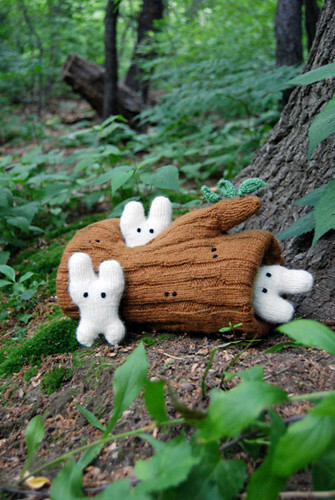 Want to make a bunny? Juicy Fruit by Aine Marriott from Petite Purls - Summer 2011. 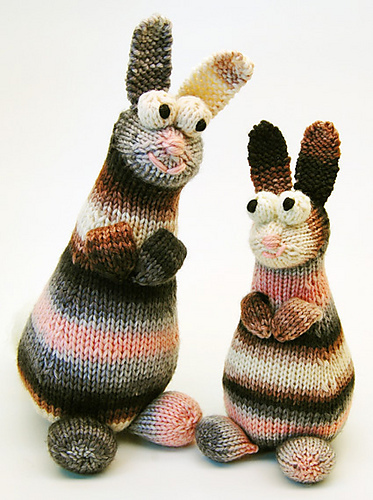 Vintage Rabbit by Sara Elizabeth Kellner. He's a bit like the Velveteen Rabbit of the storybook.